On a good day, Olga Vasquez would dress up in the morning, apply makeup and stand in the hallway at her Hialeah Gardens nursing home, helping other residents get in and out of wheelchairs or offering unsolicited advice. On a bad day, her depression got the best of her and she would remain in bed in her nightgown. May 31, 2012, was a very bad day. Vasquez — who hadn't seen a psychiatrist in weeks despite instructions to the contrary — hoisted herself out of the window of Room 310, and hurled herself to the concrete courtyard 39.4 feet below. This is the type of thing you might want to know about before your mom, dad or spouse moves into a nursing home. And such documented events were readily available on the website of state health regulators. They aren't anymore — part of the latest erosion in what is supposed to be ready access to public records in Florida. A little under three months ago, the state scrubbed its website. No longer can you go online and view the 83-page report that found Vasquez's death to be the result of misconduct and that determined other residents of Signature Healthcare of Waterford were in "immediate jeopardy." The document can still be obtained from the state Agency for Health Care Aministration, although you have to know what to ask for and whom to ask — and you may be required to pay and wait. Online, AHCA now refers consumers to a separate website managed by the federal Centers for Medicare and Medicaid Services, though that site does not include as much material as the state previously provided. AHCA does maintain spreadsheets online that rate homes on a host of criteria, and allow consumers to compare. For many years, AHCA's website included links to inspections of nursing homes, retirement homes and hospitals. They were available with a few keystrokes with very few redactions. The agency then began to heavily redact the reports — eliminating words such as "room" and "CPR" and "bruises" and "pain" — and rendering the inspections difficult to interpret for families trying to gauge whether a facility is suitable for a loved one. AHCA says the redactions were necessary to protect medical privacy, though patients were identified only by number. Vasquez was "Resident 239." In the past year, the state spent $22,000 for redaction software that automatically blacks out words the agency says must be shielded from the public. Those same words were available on a federal website unredacted. Elder and open-government advocates said the newly censored detail did more to protect the homes than patients. 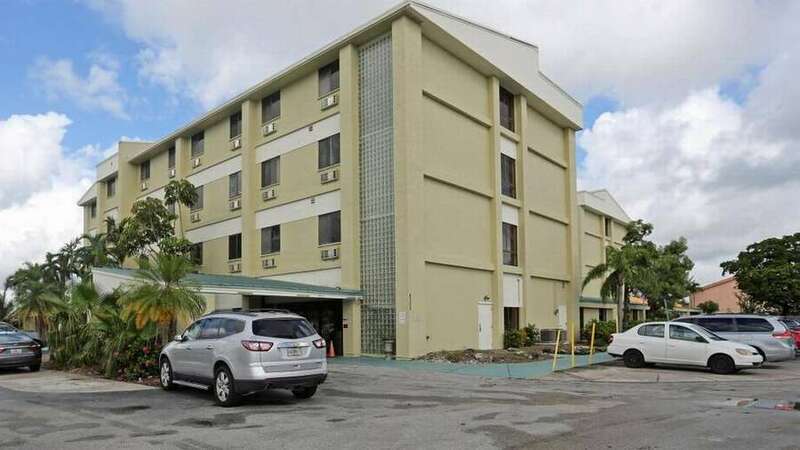 In September, 13 frail elders died miserable deaths at the Rehabilitation Center at Hollywood Hills in the sweltering aftermath of Hurricane Irma, which knocked out the home's cooling system. The Miami Herald and other media wrote extensively about Hollywood Hills' troubling regulatory history. And the Herald also reported on AHCA's decision to heavily redact reports. Soon after, with no announcement or notice, AHCA wiped its website clean of all nursing home inspections, shielding the industry to the detriment of consumers. "I'm just stunned," said Barbara A. Petersen, who is the president of the First Amendment Foundation in Tallahassee, an open-government group. "Government serves the people. They are doing a disservice, and one with potentially grave consequences." In recent weeks, Petersen needed to find a nursing home for her 96-year-old father in Colorado. The assisted living facility where he lived had become inappropriate, and Petersen had only 48 hours to move him. "If I was in that situation here, and I had to do that without the information that used to be online, I'd have to submit a public records request for it. And, as we know, it takes a long time for them to produce public records. Meanwhile, I'd be stuck with the hardest decision I've ever made in my life without any information." "We put a tremendous amount of trust in these homes, and we need to make the best decisions for our families. Honestly, this makes no sense," Petersen added. A spokeswoman for the healthcare agency said both AHCA's website and the federal site at Medicare.gov allow consumers to compare homes along a range of indicators, including quality of life, nutrition, dignity and abuse. 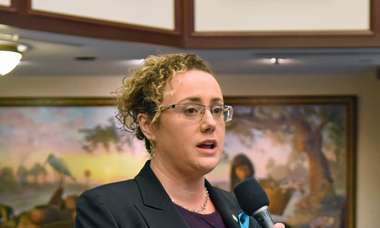 "AHCA goes above and beyond Florida law in the amount of information we make available online," said spokeswoman Mallory McManus. "AHCA's website www.FloridaHealthFinder.gov allows consumers to compare nursing homes by their inspection rating. Consumers can search by county, Zip code and even by services offered at every nursing home in Florida. This gives families more information to make informed healthcare decisions for their loved ones." "In fact," McManus added, "in 2016 FloridaHealthFinder.gov won a Digital Government Achievement Award from the Center for Digital Government in the "Government-to-citizen State and Federal government" category, showing that Florida is a leader in getting information about healthcare facilities to consumers. FloridaHealthFinder.gov is an excellent tool for consumers, and a national leader in transparency." The award was given before the state removed nursing home inspections from AHCA's site. The Herald was unable to speak with administrators at the Hialeah Gardens home. Representatives from the corporate Signature HealthCARE did not return requests for comment. McManus said health regulators removed the "immediate jeopardy" label from the nursing home days after Vasquez's death after administrators demonstrated they had improved the home's safety. "Our Agency expected quick action to remove the potential risk to others. 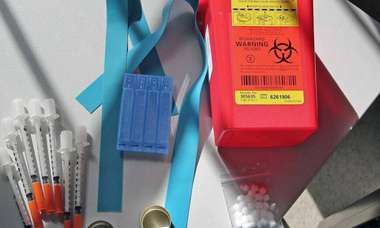 During a revisit on July 5 , it was determined that the facility had implemented measures that removed the threat of serious risk to patients," McManus said. "Our Agency held this facility accountable, and all deficiencies were corrected," McManus said. The home's plan of correction included a long list of actions administrators took to improve safety, including a comprehensive review of all residents' medical records, new policies to ensure doctors' orders are carried out, better monitoring of the symptoms of psychiatric patients, and an audit of records for all patients on mental health drugs to "ensure that they were seen by the psychiatrist as ordered." Though reports on Vasquez's death are no longer available on AHCA's website — or that of the federal Medicare program — a copy of the inspection obtained by the Herald is heavily redacted. 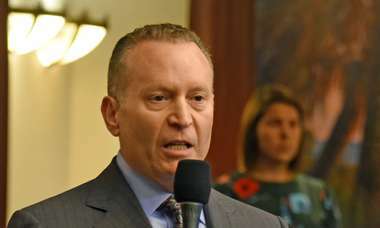 The words "neglect" and "abuse," for example, are removed from one of the report's findings — and the definition of abuse from the Florida statutes is redacted. A separate 50-page AHCA report on the same incident recites a portion of Florida law: "[Redacted] means any willful act or [redacted] act by a caregiver that causes or is likely to cause significant [redacted] to a [redacted] adult's physical, [redacted] or emotional health. [Redacted] includes acts and omissions." The portion is drawn directly from the state's elder abuse law, a public record, and is the definition of abuse. AHCA's move is far from the only restriction in what records the public can see. The Herald wrote about an emergency management plan from the Hollywood Hills rehab center that was filed with — and approved by — Broward County, which included portions that were copied and pasted from a prior year, and failed to say how residents would be kept cool during a power outage. Broward and Palm Beach counties then refused to release any plans, though both had originally said they were public record. Miami-Dade released 54 plans, all heavily redacted. Vasquez, who migrated to Florida from Cuba, first began to suffer from depression about a decade before her death, when her husband died, relatives told the Miami-Dade Medical Examiner's Office. "Due to her depression, she was placed in" the nursing home, the report said. In addition to depression, Vasquez also was diagnosed with anxiety, chronic insomnia, heart disease and hypertension. AHCA's report on Vasquez's death, dated June 14, 2012, said the 82-year-old former factory worker last saw her primary psychiatrist on March 1, 2012, for treatment of clinical depression. Staff at Signature never told him, the report said, that Vasquez's condition had worsened. Vasquez, the report said, "was very depressed at times." Vasquez's primary doctor had ordered a psychiatric consultation around April 30, 2012. But a constellation of lapses led to the home's failure to ensure Vasquez actually was treated. The psychiatrist Vasquez was to see left the nursing home, a report said, and the nurse who was trying to help Vasquez never was told who would fill in. Meanwhile, a psychiatrist who regularly saw patients on Vasquez's floor reported "he never saw [her] and [she] was not on his caseload." Complicating matters: there was a 15-day gap in nursing notes in Vasquez's chart, the report said, and the home's administrator told an AHCA inspector he "had no idea" why no notes were made during those two weeks. AHCA concluded: "There was no documentation to demonstrate the [psychiatric] consultation was completed, as ordered." Three days before Vasquez died, the report said, she "was observed to be sitting in the hallway or lying in bed; she was not wearing any makeup, and the resident told [a nurse] she did not feel like doing anything." Vasquez needed help to fill out her menus. A short report from the Miami-Dade Medical Examiner said that, on May 31, 2012, a maintenance worker noticed that the window in Vasquez's room was open. The widow was found in the courtyard underneath her bedroom window, 14 feet from the building. The medical examiner's office ruled Vasquez's death a suicide. Six months before Vasquez plunged from her window, the U.S. Department of Housing and Urban Development faulted the home for failing to maintain the windows safely. Windows, HUD said, were secured only with screws, and a corrective action plan required Signature to install window locks within all residents' rooms. The AHCA report is unclear as to whether the windows in Vasquez's room were fixed, though an unspecified relative told AHCA she had noticed the day before Vasquez died that "the window clamp was not in place." A Hialeah Gardens police report confirms some of AHCA's account, noting Vasquez wasn't breathing by the time she arrived at Palmetto General Hospital. A doctor pronounced her dead at 4 p.m.
Vasquez's niece, Maria Salgado, who handled Vasquez's affairs, told police she had been taking 10 medications for her depression, some of which are listed in the AHCA report, though the names and dosages are largely redacted. Staff at the nursing home told Salgado that something happened to her aunt while she was walking in the garden — exactly what Salgado was told is redacted — according to the AHCA report. Salgado, 53, called her aunt's death and the ordeal that followed painful to talk about. She felt very close to her aunt, she said. "It was such a horrible time," she said. With a long breath, she added, "I don't want to relive it."